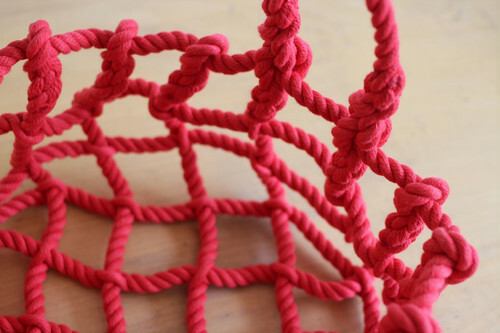 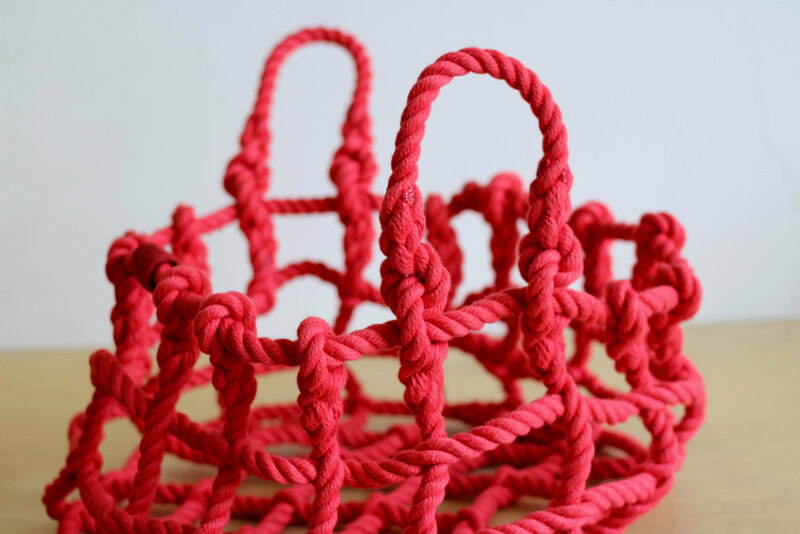 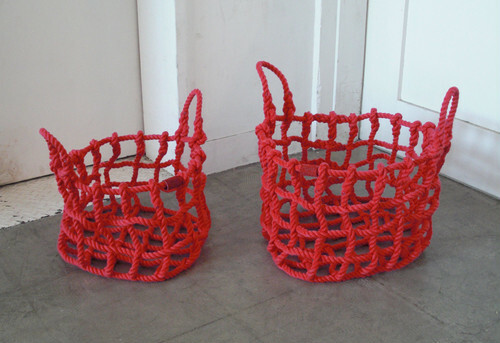 “knot” is a unique and versatile basket. 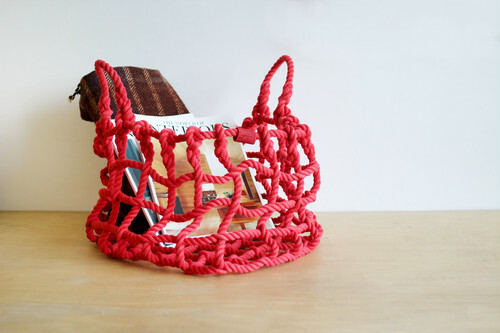 Hang it on a wall, use it on the floor as a laundry basket, or even a magazine rack. Made entirely with knots, this adhesive-free product fits naturally into your home. 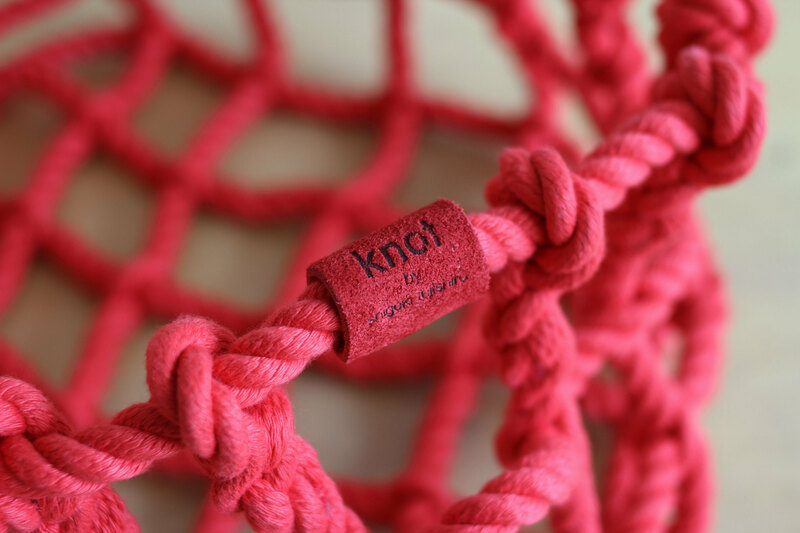 The 100% polyester material will also make an ideal companion for outdoor adventures.